Butterflies Reader Macmillan This six-level series of factual readers allows English language learners to explore a variety of fascinating real-world topics. Each reader has been carefully graded to reinforce the main structures and vocabulary covered in most major language courses. The use of the plus symbol (+) highlights the increased level of challenge in language as compared to a standard reader, reflecting the focus on content learning. 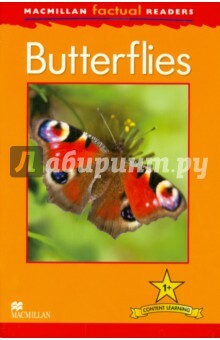 Аннотация к книге "Butterflies Reader"
Если вы обнаружили ошибку в описании книги "Butterflies Reader" (автор Thea Feldman), пишите об этом в сообщении об ошибке. Спасибо!